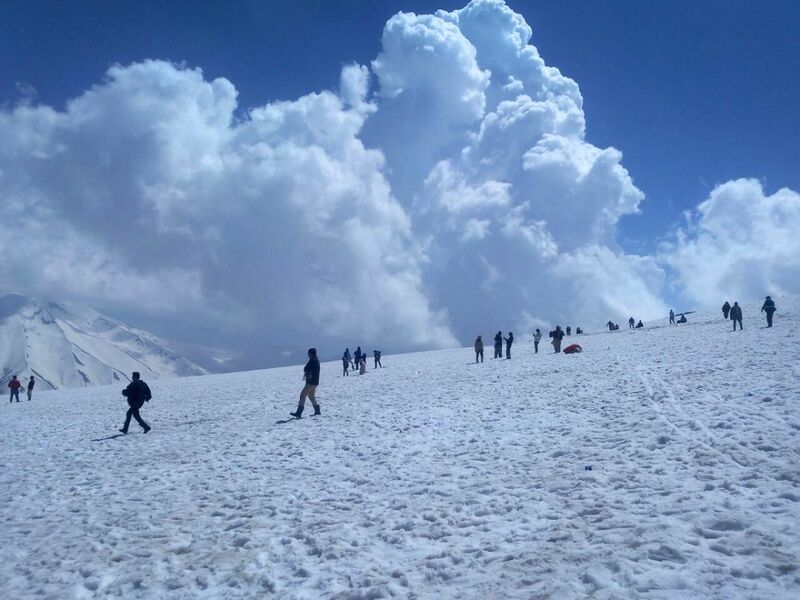 A compilation of "Must-see destinations" in Kashmir and "Kashmir in photos". 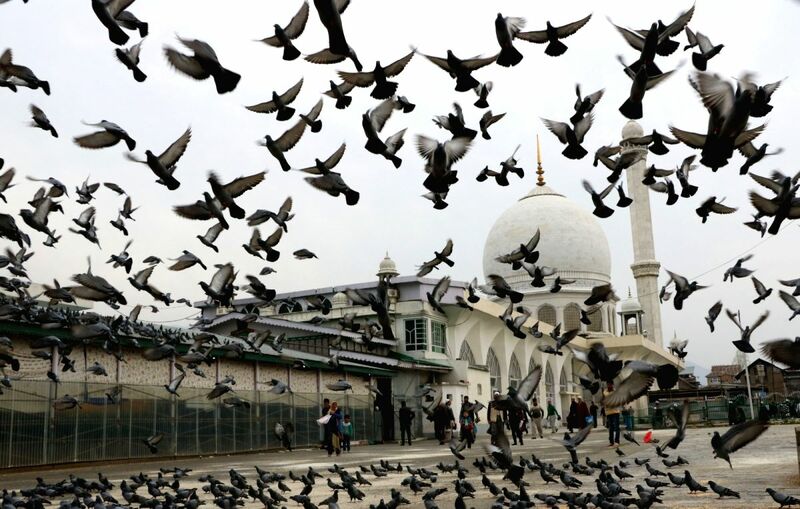 The Shrine containing an important Islamic relic, the Moi-e-Muqqadas, believed to be a hair of the Holy Prophet Muhammad, is an important center of pilgrimage for the Muslims of Kashmir. 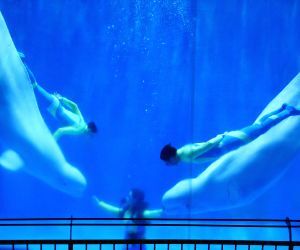 A major tourist attraction these days. 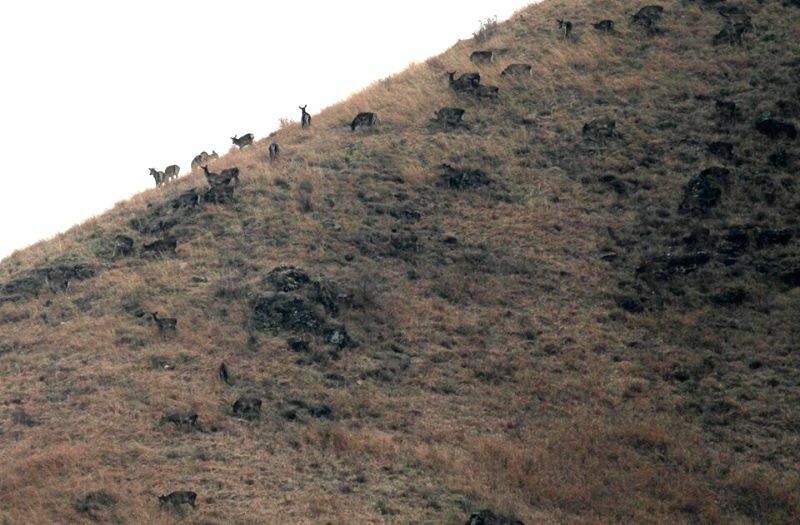 A major tourist destination and archaeological site, this happens to be the first tourist spot of Kashmir Valley when travelling by road from Jammu. The Verinag Spring, the main attraction of the site, is known to never dry up or overflow. It is also the major source of river Jhelum. There is an octagonal stone basin and an arcade surrounding it which were built by Mughal emperor Jahangir. Later, a beautiful garden next to this spring, was laid out by Shah Jahan. 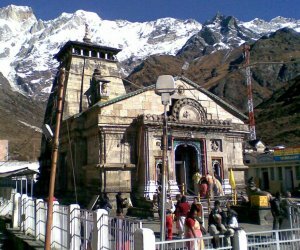 This Hindu temple built around the 8th century, is a site of national importance and archaeological value. 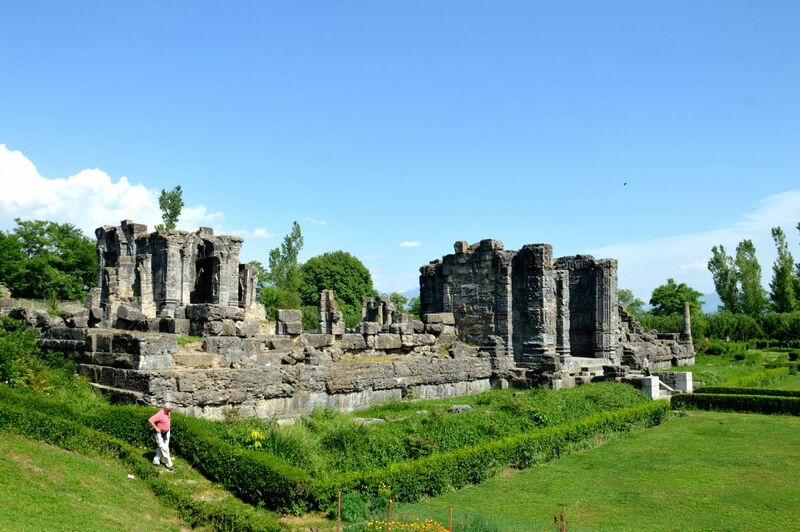 The temple recently played location in the Bollywood movie Haider. 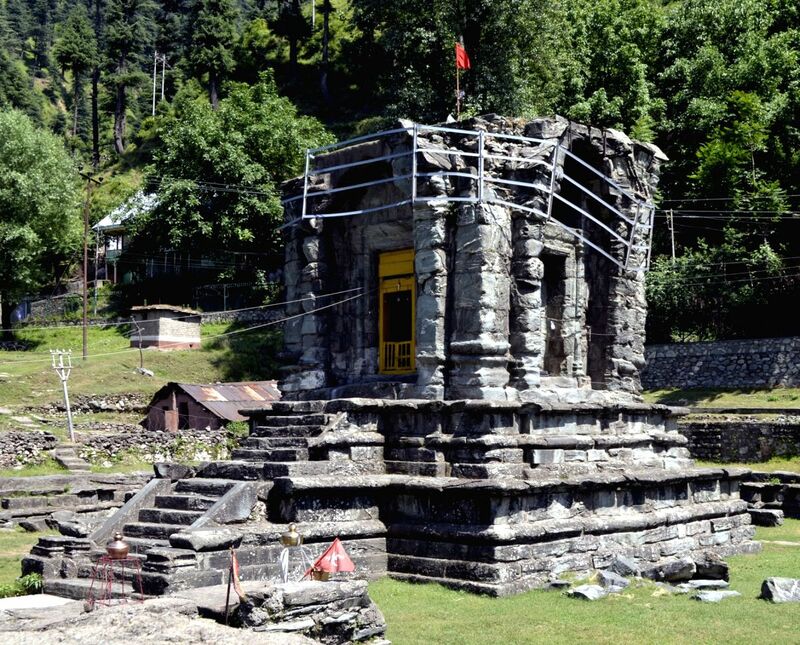 The Pandora Temple in Mohara of Baramulla district, Jammu and Kashmir. 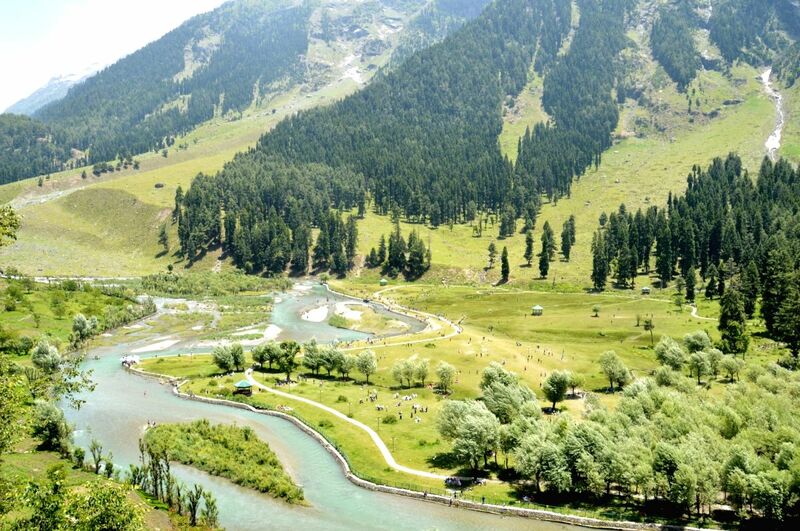 Betaab Valley in Pahalgam. An aerial view of Betaab Valley in Pahalgam of Jammu and Kashmir's Anantnag district on June 5, 2016. 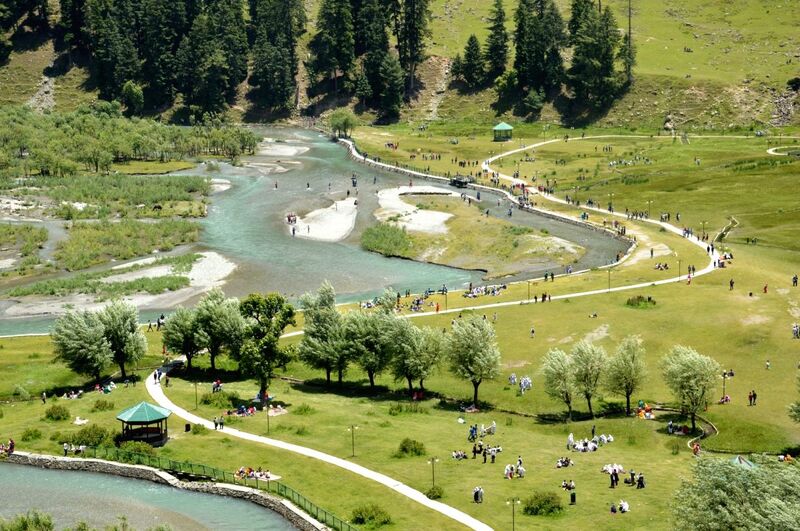 Betaab valley is situated in Pahalgam of Anantnag district, India's northernmost state of Jammu and Kashmir. 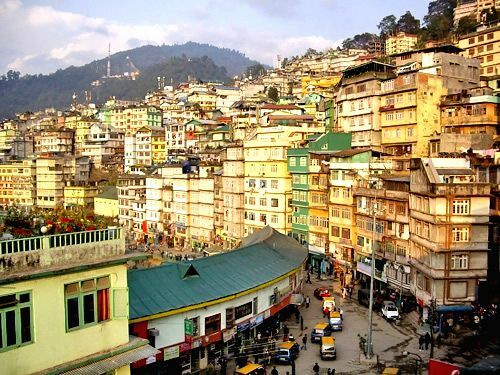 The valley got its name from the Sunny Deol-Amrita Singh hit debut film Betaab. This lush green visual extravaganza also falls on the route to the Amarnath Temple Yatra, which makes the valley an easy catch. 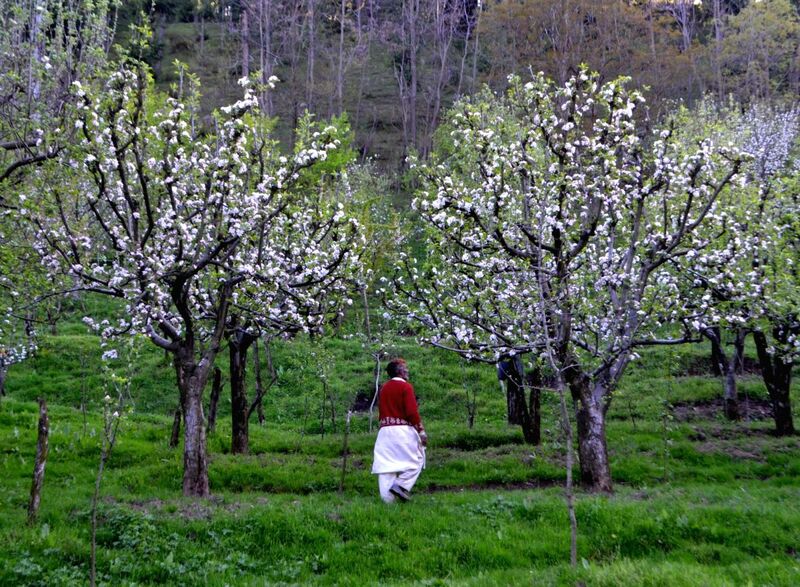 In Photo: Apple trees in an orchard in Anantnag of Jammu and Kashmir. 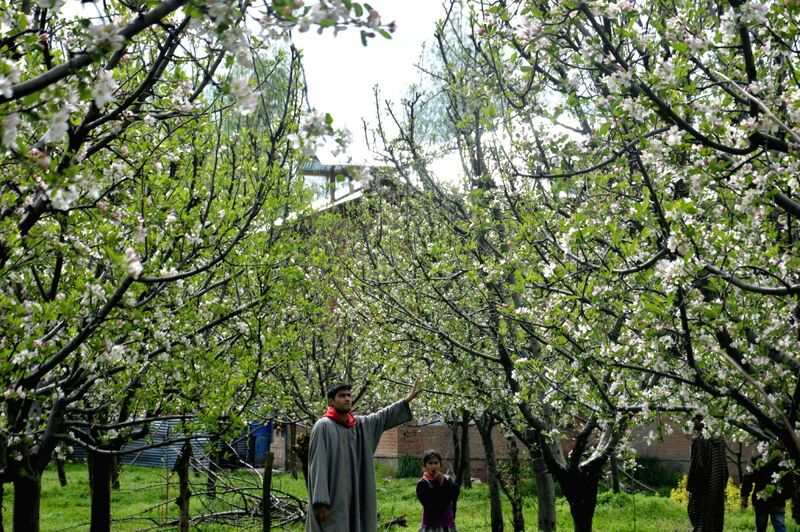 The apple production may get negatively affected due to the unseasonal rain and hail storm that hit the state recently. 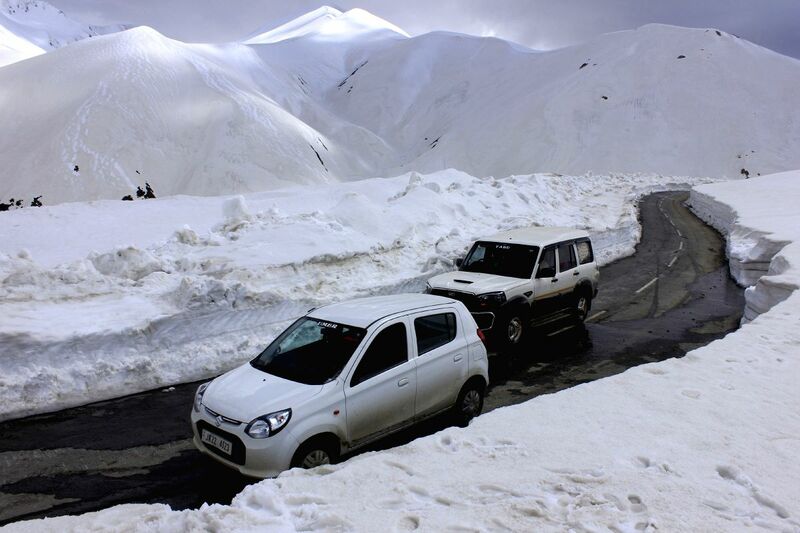 The Mughal Road that connects Poonch and Shopian of Jammu and Kashmir. A ride along this historic road connecting Kashmir valley with the rest of the world is a must-take. 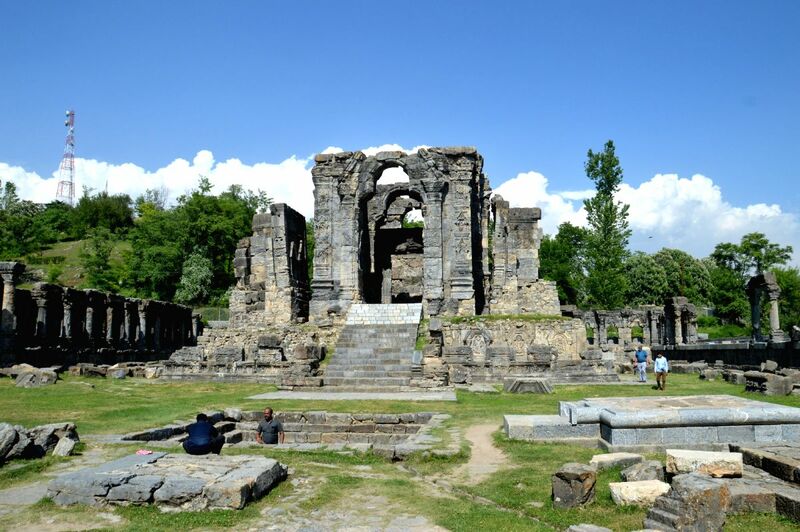 This has been the most ancient and traditional route to Kashmir as far as the 16th century when it was used by the then Mughal Emperor Akbar to enter his battalion into Kashmir and conquer it. 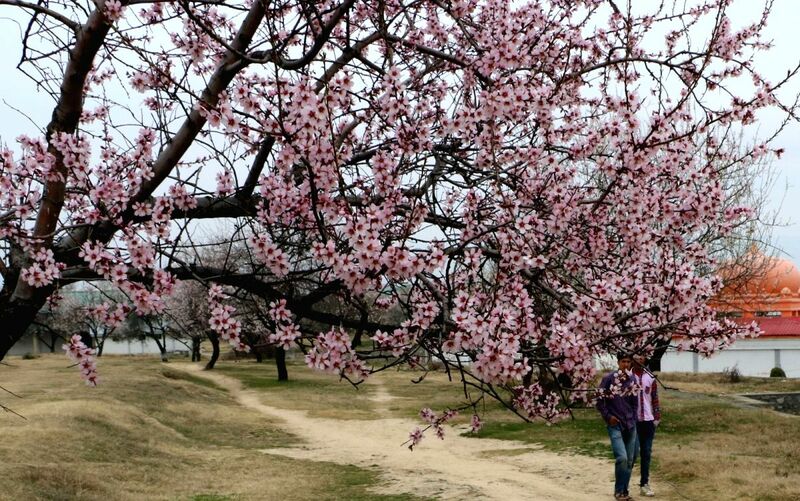 The Gulnar Park in Baramulla of Jammu and Kashmir. 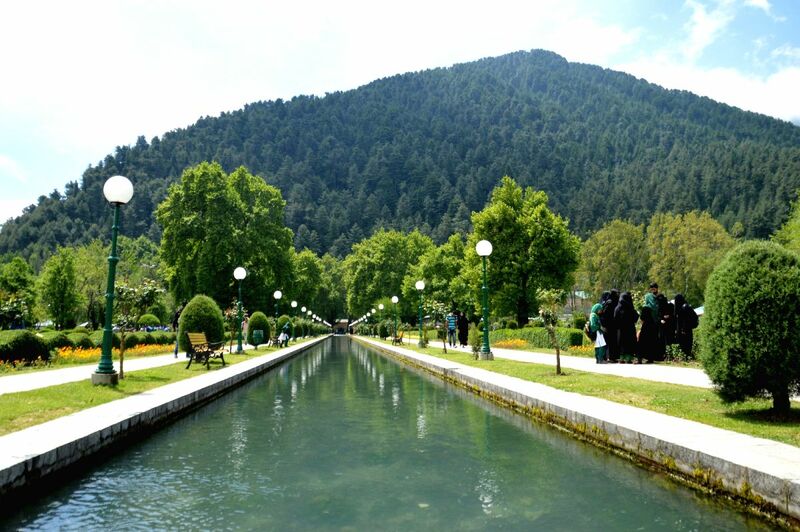 Residing by the River Jhelum, this is one serene spot for tourists to catch some pristine air and environment. 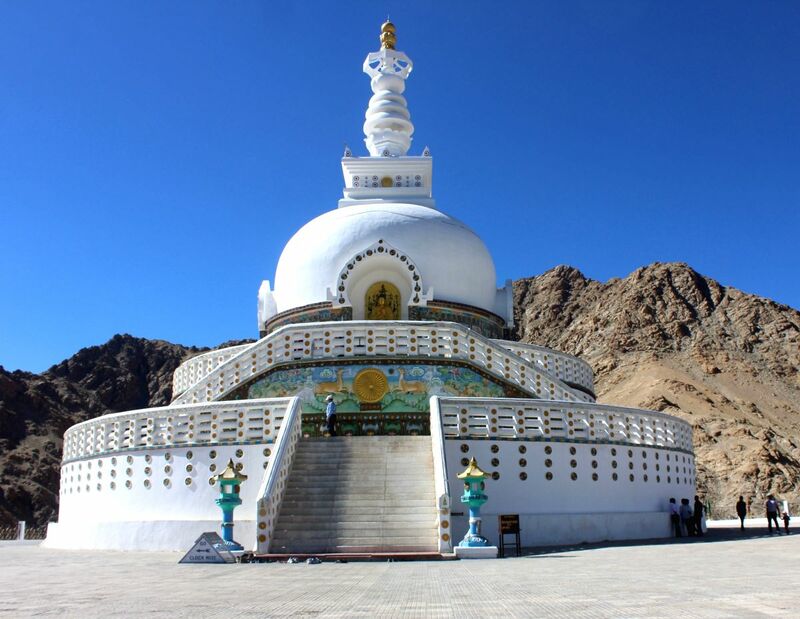 This Buddhist white-domed stupa on a hilltop in Chanspa of Leh, holds the relics of the Buddha at its base, enshrined by the 14th Dalai Lama. The Stupa has now become a major tourist attraction for its religious importance and by its equally stunning view. 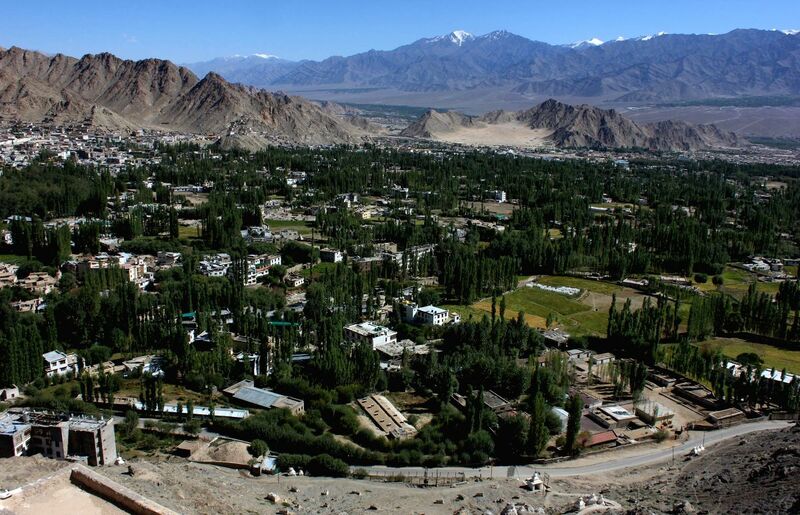 One of the most famous destinations in J&K, Leh houses numerous Buddhist monasteries. 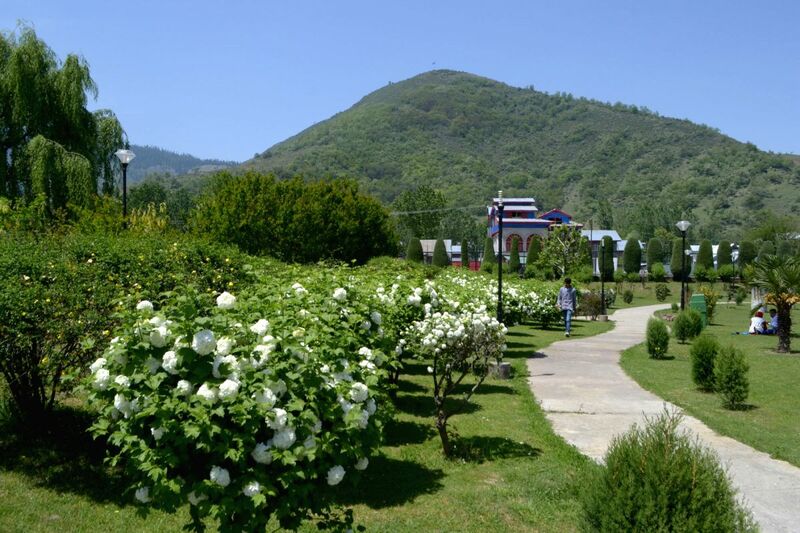 Its landscape sits ideal for a number of adventure activities including mountaineering, white-water rafting and trekking along the Markha Valley. 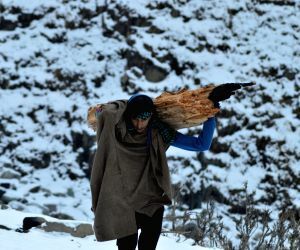 Snowfall in Qazigund of Jammu and Kashmir Feb. 2, 2015. 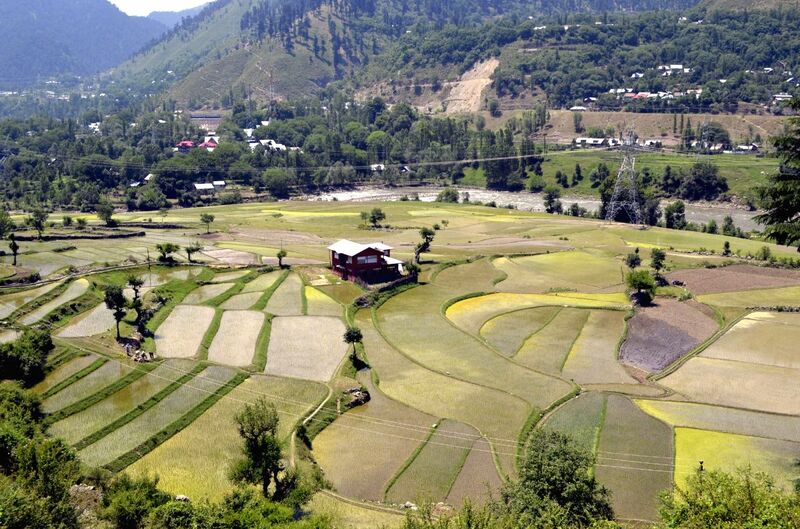 A view of paddy fields in Boniyar of Jammu and Kashmir's Baramulla district. 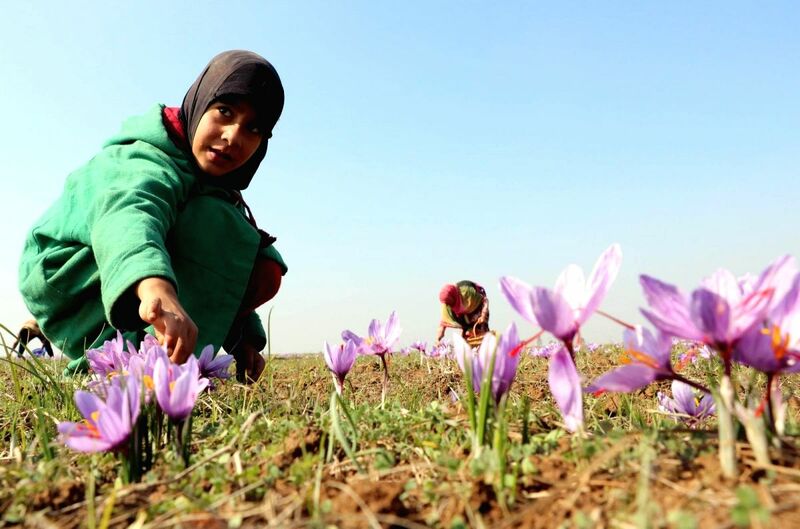 Pulwama: A girl plucks saffron flowers in Pampore of Jammuy and Kashmir's Pulwama district. 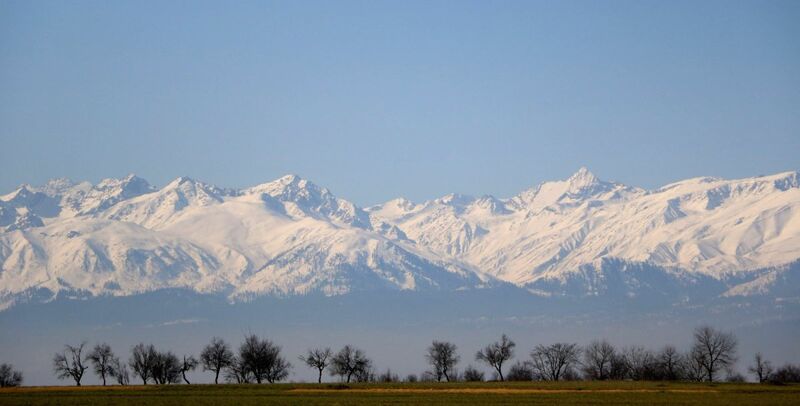 A view of snow covered Gulmarg range as seen from Pampore of Jammu and Kashmir. 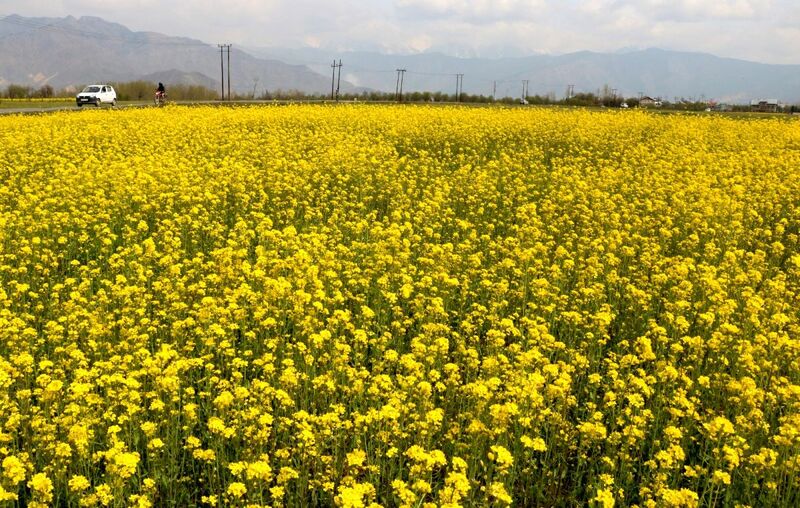 A view of blooming mustard fields in Pampore of Jammu and Kashmir. 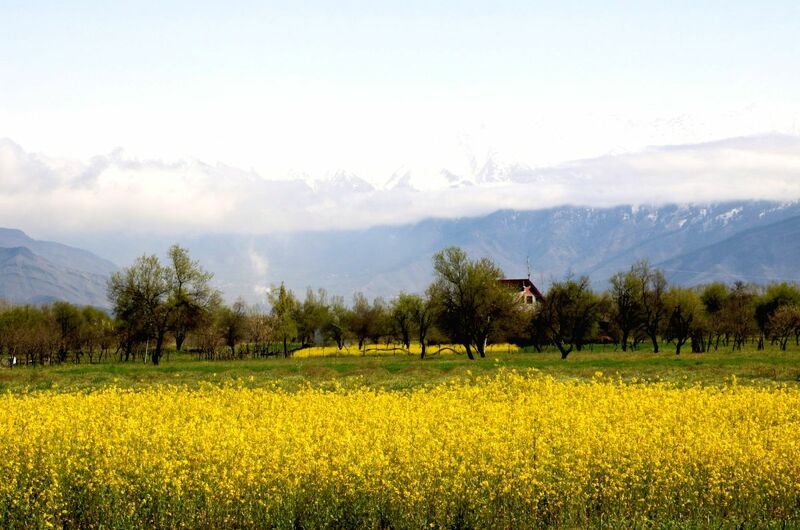 A serene view of Kashmir valley as seen from saffron fields in Pampore. 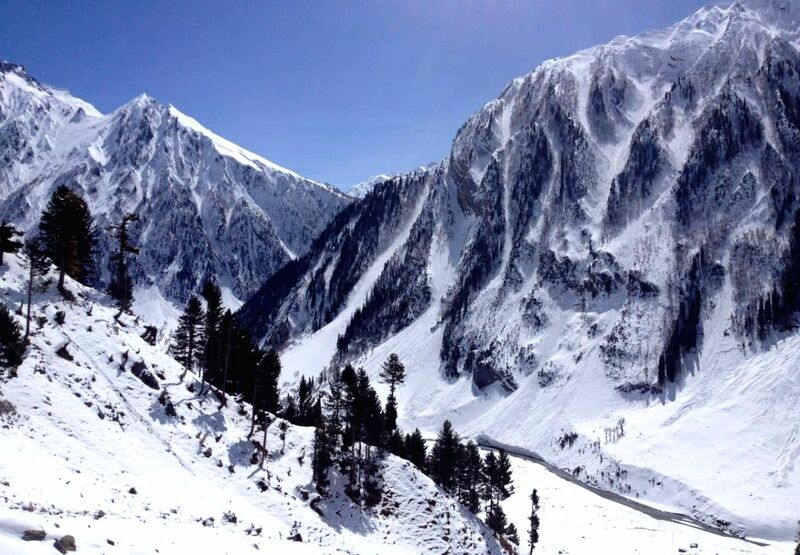 A spectacular view of Zoji La in Jammu and Kashmir after fresh snowfall. 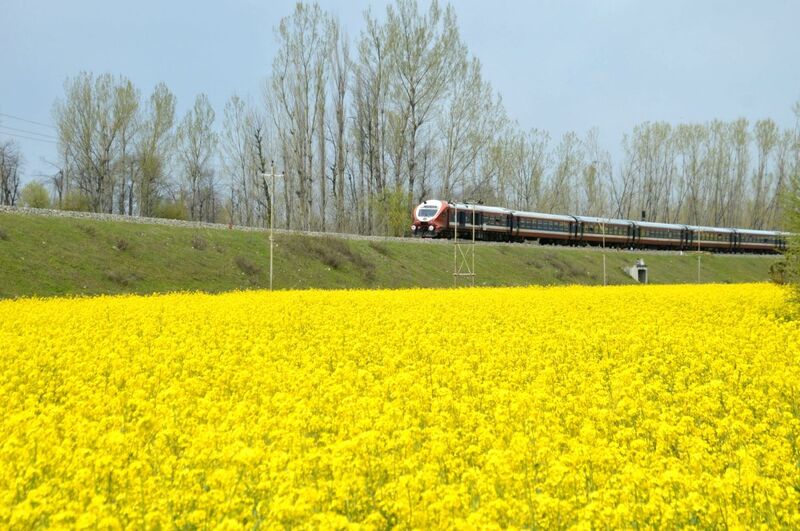 A train passes by blooming mustard fields in Anantnag of Jammu and Kashmir. 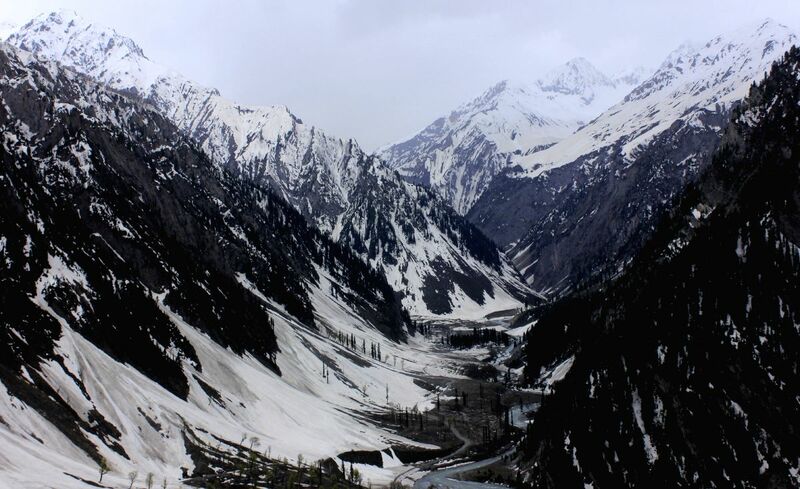 A view of snow-covered mountain in Baltal, Sonamarg on the way to Amarnath in Ganderbal district of Jammu and Kashmir. The Amarnath cave in South Kashmir blushing under a light snowfall. 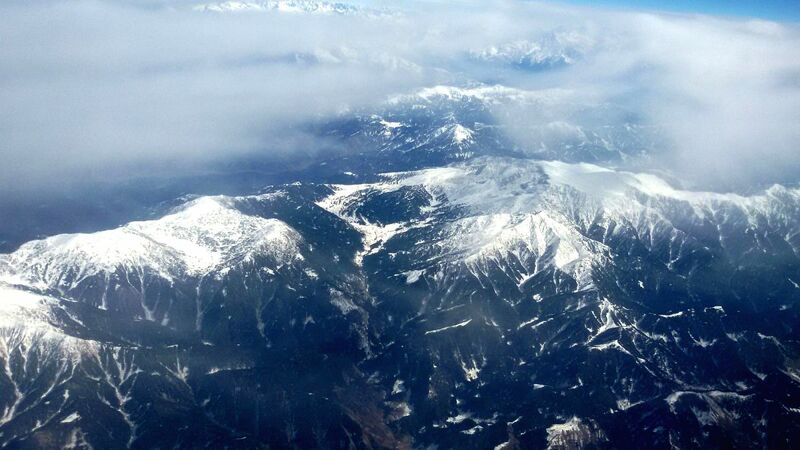 Pir Panjal: An aerial view of the snow clad Pir Panjal Range in Jammu and Kashmir. 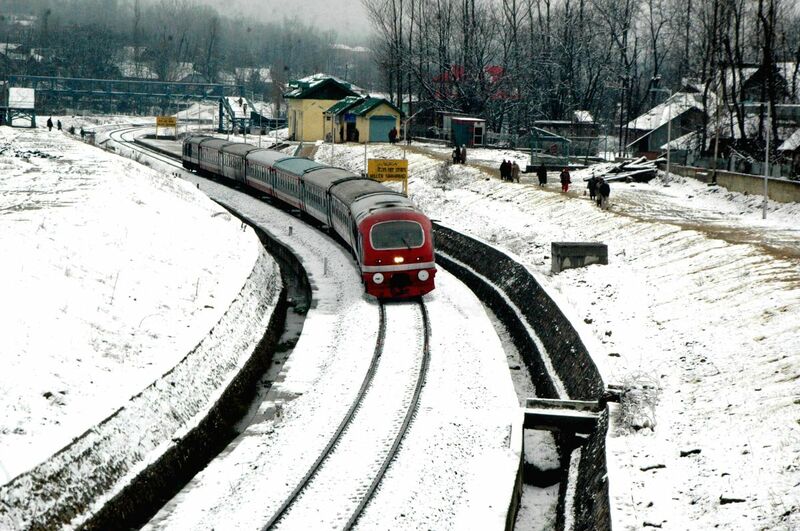 Pir Panjal is the largest range in the lower Himalayas.